I’ve never been a big mac and cheese fan. But every once in a while I get a craving for it. 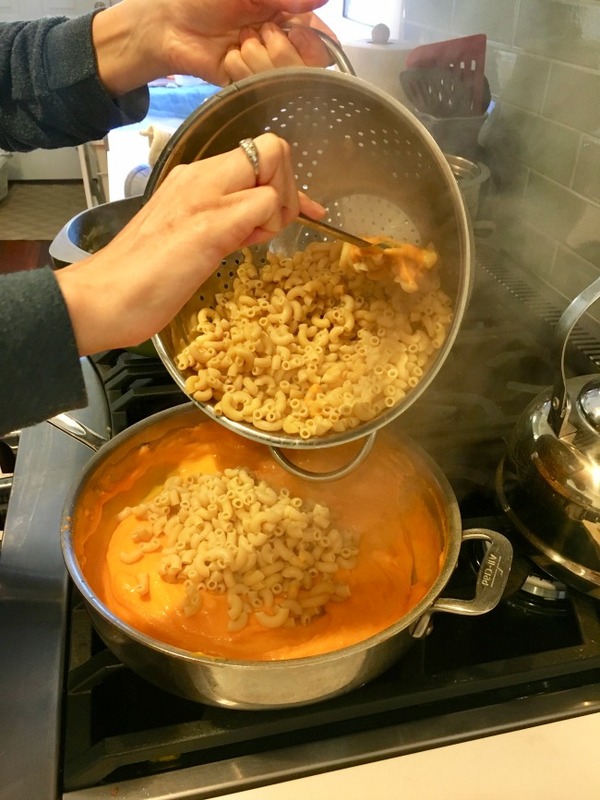 So when I was asked to cook for a yam festival, I thought why not combine two comfort foods – mac and cheese and sweet potatoes. Turns out, it’s delicious! Plus pasta made with beans provides a significant protein boost! I recommend cooking this pasta for about a minute and a half less than the instructions. It’s better al dente. 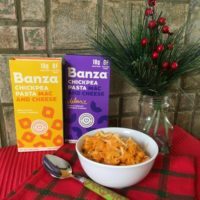 Sweet potatoes are pretty much a daily staple in my home and they taste good in a variety of recipes! Share with me in the comments your favorite and creative ways to eat incorporate sweet potatoes into dishes. 2. In a large saucepan over medium-low heat, heat milk and butter. 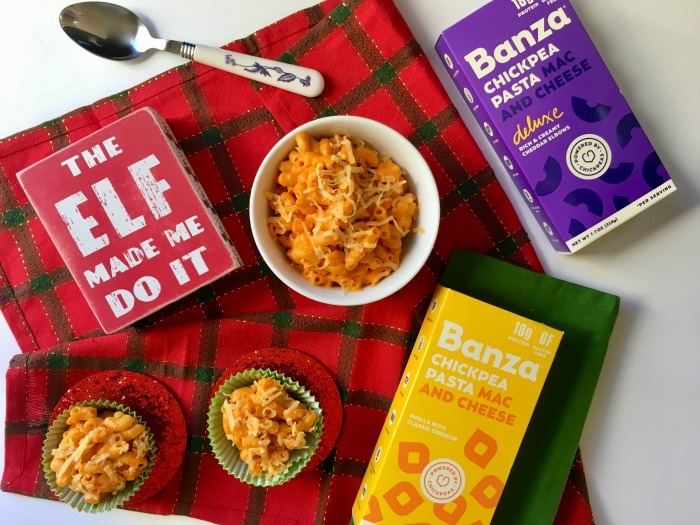 Add the two powered cheese packets from the two boxes of Banza Classic Cheddar and the creamy cheese packet from the box of Banza Deluxe. Stir in sweet potato, stirring frequently, until heated thoroughly. 3. Mix in cooked pasta and serve. « Fascial Stretch Therapy – Pain Relief that Works!